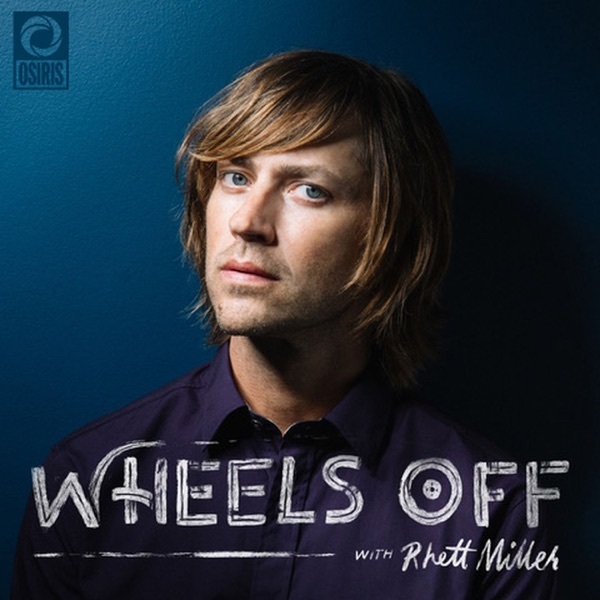 Rhett Miller, musician and frontman for the Old 97s, hosts “Wheels Off” a show about the messy reality of the creative life. Conversations with musicians, writers, artists, actors, and comedians about the pivotal moments that shaped their work, what it means to create in a digital age and grapple with the challenges, and the joy, of living a creative life. Lydia Loveless ia a singer-songwriter from Ohio known for her “blast it to the back of the room” voice. She sat with Rhett while in Boston to talk about her early life as a musician, grappling with writer’s block and self-imposed obstacles, and that time she tried stand up comedy. She’s been writing and playing music since she was 14, and at the tender age of 28, is learning how to slow down and get comfortable with herself. Lydia has toured with artists such as the Old 97s, Supersuckers, Jason Isbell, Iron & Wine, and Drive-By-Truckers. Her music has been praised by Rolling Stone, NPR, Pitchfork, SPIN, Stereogum, Chicago Tribune, and more. She was the subject of the 2016 documentary Who Is Lydia Loveless?, directed by Gorman Bechard. John McCrea is the founder, lead singer, and songwriter for the band Cake. He’s also an activist and the Vice President of the Content Creators Coalition, an artist-run advocacy organization for musicians dedicated to working with songwriters, performers, and musicians for equity in the digital world. John sits down with Rhett to talk about the mathematics of mixing, new music from Cake, and how he keeps his creativity going after years of being an active musician. Rhett asks what advice he’d give his 21-year old self and John determines that he believes you’re supposed to have problems. The two talk about how that applies to parenting, and why it’s important to just figure things out for yourself. Brian Anderson is a sportscaster, recognized for his work calling Milwaukee Brewers games as well as postseason MLB games, NBA and NCAA tournament games, and PGA Golf. In the middle of NCAA season, he sat down with Rhett to talk about calling sporting events for a living. Rhett met up in Eric’s adopted hometown of Seattle to record this episode, and the two discuss writing accidental hits, how to combat insecurity, and the “secret sleeper towns” they find while on tour. 005 - Aaron Draplin: Graphic Designer, Author, and Founder of Draplin Design Co.
Famed designer Aaron Drapler sits down with Rhett to discuss his hustle, intense work ethic, humility, and why hardship is great for us. Comedian, actor, writer, and producer Will Forte joins Rhett in Los Angeles to talk about his life as a comedian, and the insanity that living a creative life can bring. Matchbox Twenty frontman Rob Thomas on that one time he didn’t get to meet Prince, being recognized in the supermarket, and what it means to release a record in the digital age. Comedian Fred Armisen on being funny in Spanish, lucky breaks, and why failing when you’re young can serve you well. Grammy winning artist Rosanne Cash on writing, wrestling with imposter syndrome, the importance of persistence, and the freedom to let yourself fall apart. Old 97s frontman Rhett Miller interviews musicians, actors, comics, writers and artists from all disciplines about the messy reality behind the creative life.